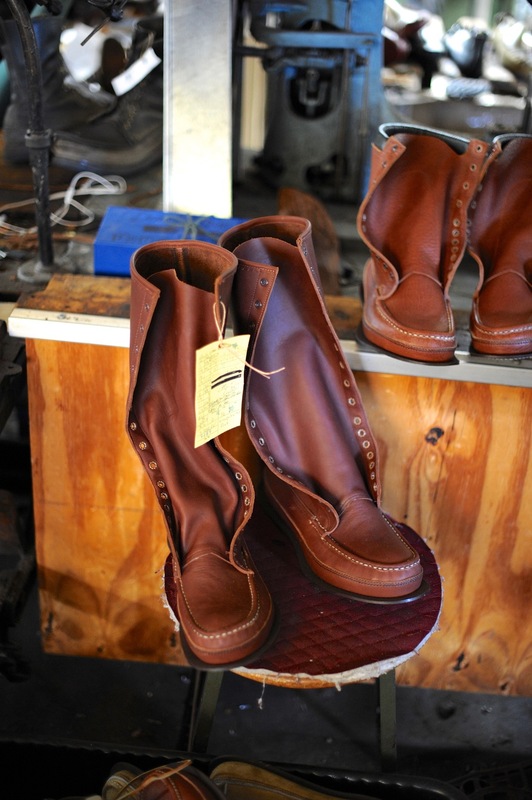 Russell Moccasin Co. — Horween Leather Co. 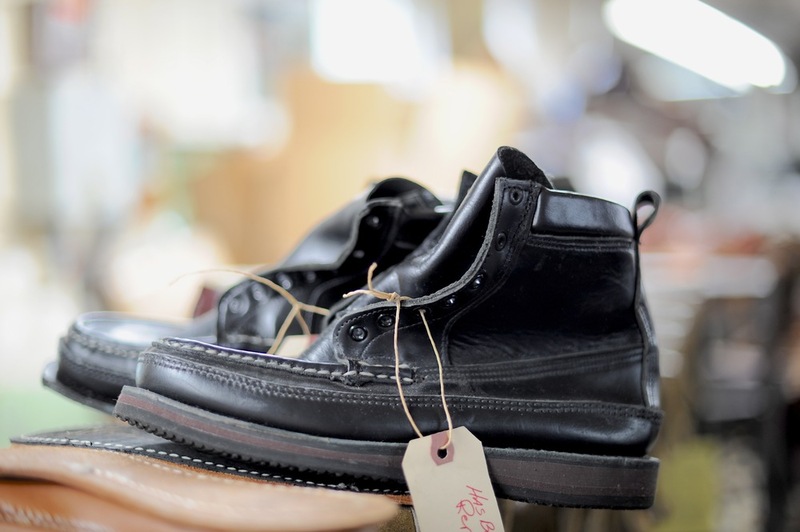 I recently made a trip up to Berlin, Wisconsin (via Madison) to visit one of those legendary shoe factories that has been doing things the same way since they opened in 1898. 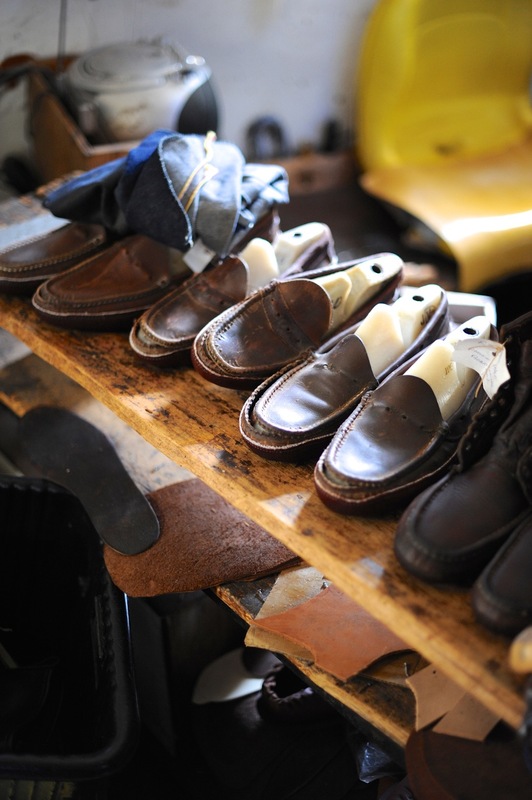 Russell Moccasin makes amazing footwear. 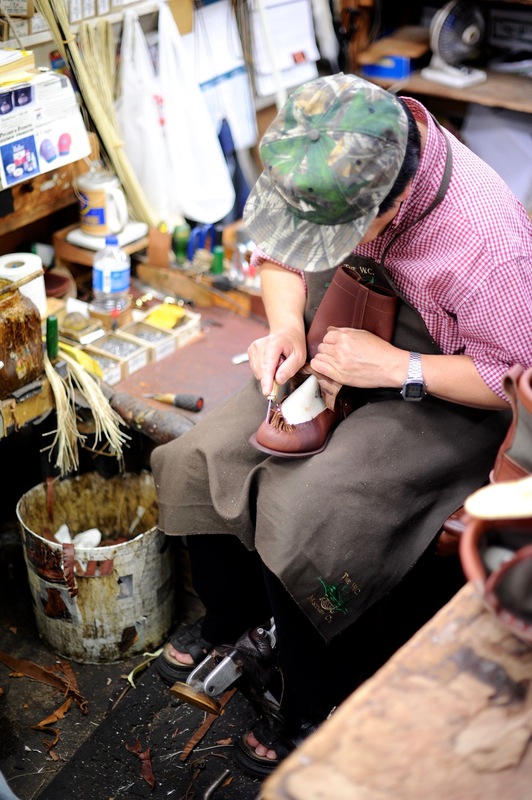 A true moccasin has leather that wraps completely underneath the foot creating a sort of a “hammock.” This creates a shoe that is not only long lasting, but extremely comfortable as well. 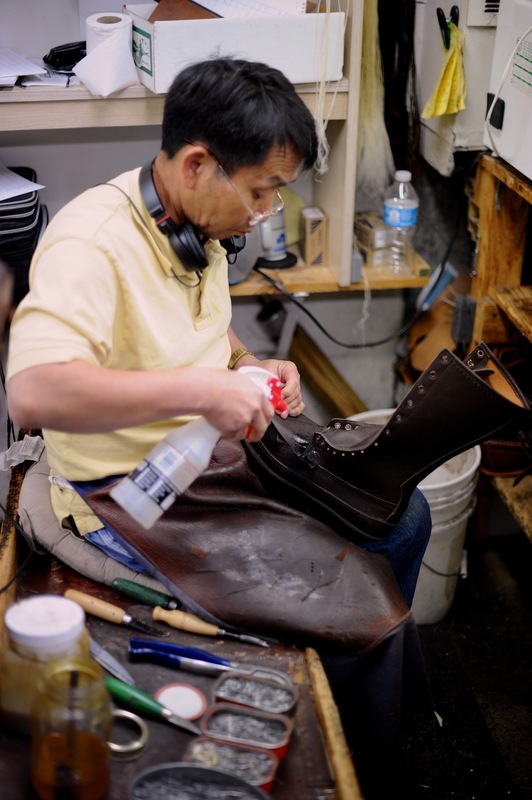 A shoe or moccasin made this way does not require a traditional sole, but most of Russell’s shoes are fitted with any of a number of options from Vibram. 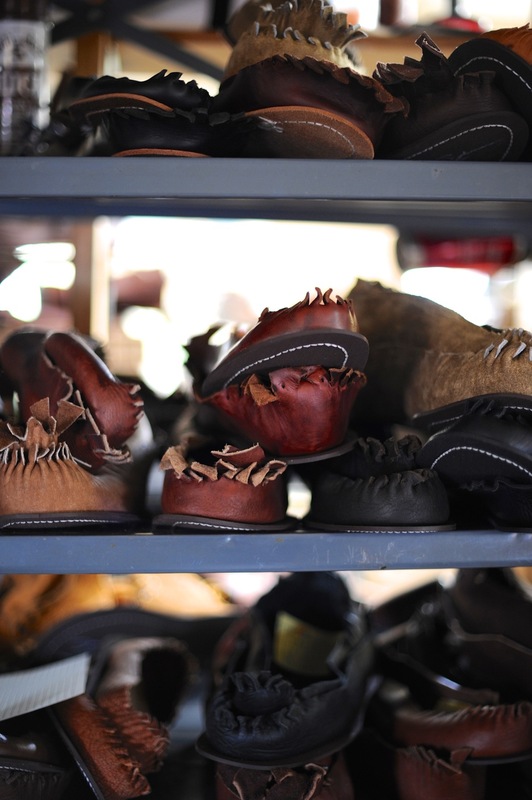 Many of the Moccasins made by W.C. Russell are custom and made to order. 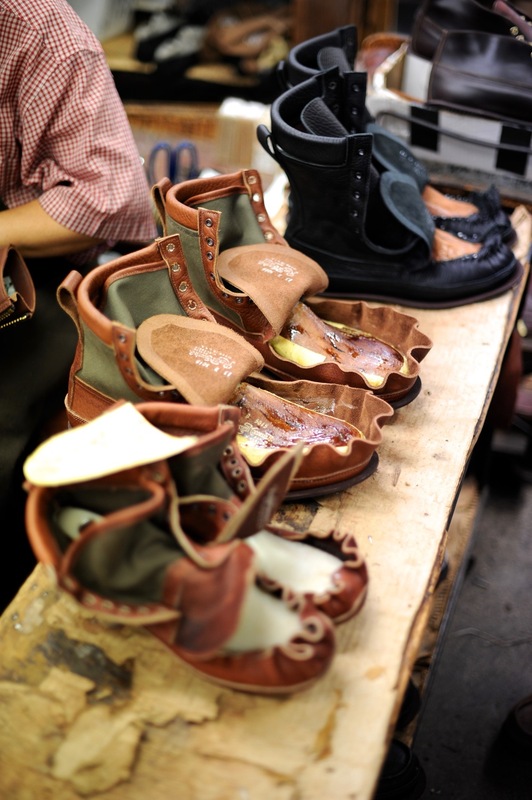 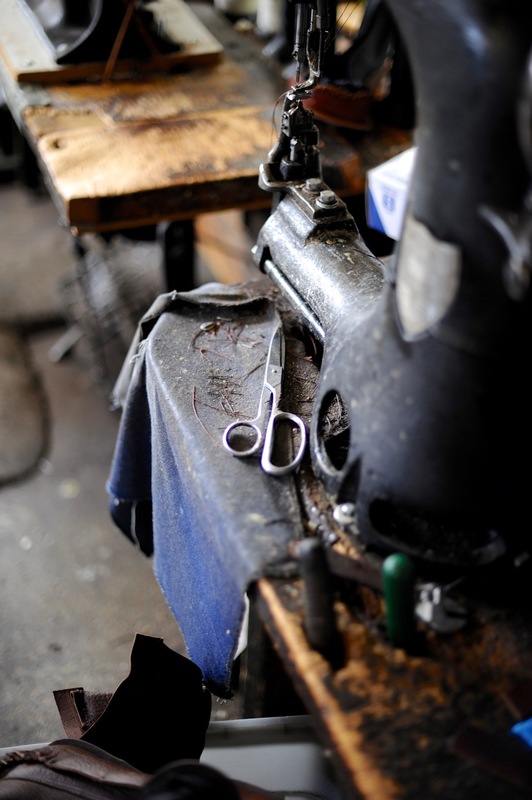 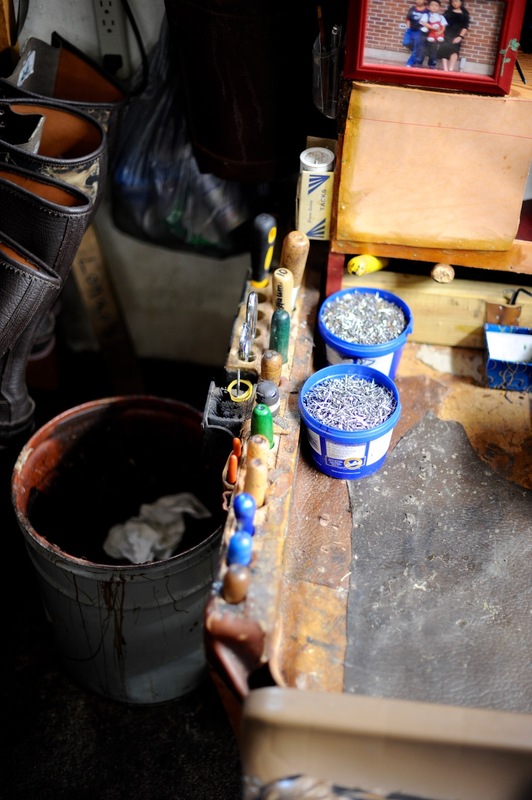 The quality of the footwear is clear throughout the factory – this is made even more clear by the fact that there are almost as many shoes on the floor for repairs or recrafting as there are new pairs.